Being the parent of a disabled child is a challenge for more than one reason, and these challenges come on a day by day basis. From the struggle of affording the care they need to the small things that your child needs to make it through the day comfortably, these stresses can be a lot for a family to take on. 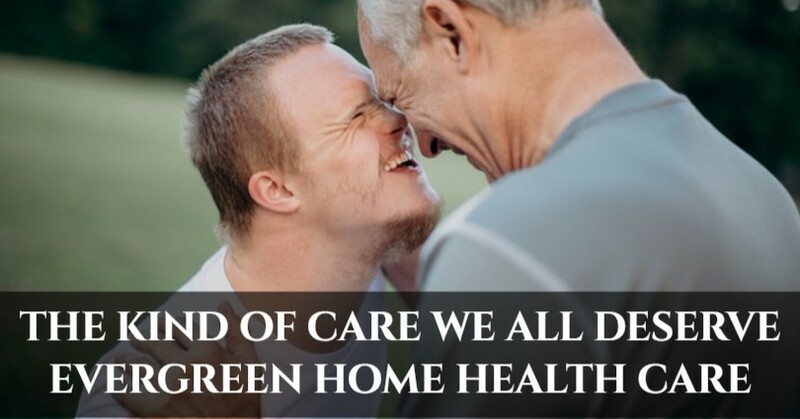 In these instances, it’s extremely important that parents realize that one of the options that they do have available is in-home care. Having a healthcare professional come to your home to provide services is incredible for many reasons, but they go beyond the direct care for your disabled child. These services can actually be extremely beneficial for the entire family. 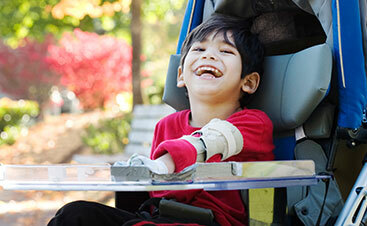 At Evergreen Home Health Care, we are driven to providing the highest quality of healthcare to children with disabilities in the comfort of their home. In doing so, we know that we are improving their quality of life but also the quality of life of the parents. Today’s blog post is going to visit a few of the ways that this decision can enhance the life that every member of your family is living. 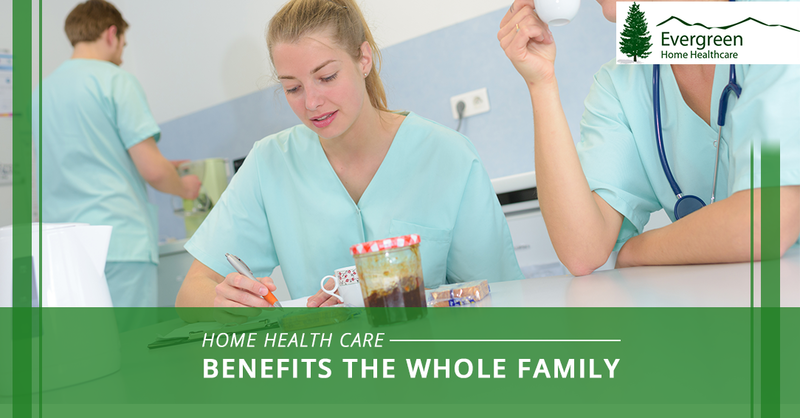 Given that the priority with in-home health care is your child, let’s start with the many benefits that they’ll see through the enrollment with Evergreen Home Health Care. Care is especially challenging when you’re doing it in a place that you can’t get entirely comfortable. Hospitals and care facilities do their best to try and beat the stigma that they’re known for, but the reality is that regardless of what struggles your child has or how nice of a facility they’re visiting, they’ll be infinitely more comfortable by receiving the care that they need in the comfort of their own home. When you begin to work with our team we will be able to come up with a strategy for providing the care that your child needs, in the comfort of your home. This is beneficial for strategizing in itself, but it’s also the best way for us to go through with determining how to make your child as comfortable as possible while they’re in the house. Given our years of experience and our fine-tuned team, we are able to create some out of the box strategies for the times that we have challenging circumstances. We understand that families are different, circumstances are different and the definition of comfort will also be different. In understanding that, we do our best to be as creative as possible and use all of the resources that we have to better serve you and your child. As if dealing with physical or mental disabilities isn’t a challenge in itself, children are also faced with their fair share of emotional distress in coping with a mental illness and the care that comes with it. One of the best ways for children to deal with this is through the comforting interactions that they have with family and pets. Even in the instance that parents are heading out to work during the day and siblings are in school, being in the comfort of their own home is especially beneficial for children who are in need of care. This place is a place of comfort, a sanctuary. While a hospital or care center may be able to mimic the setup and furniture that a home has, it will never be able to recreate the feeling. For that reason, your child spending time at home to receive the care that they need is a fantastic option that will also lessen the emotional distress that they experience throughout the care process. Something that every parent worries about is whether or not their child is getting as much care as they need, and that can be a stressful burden to carry when you’re trusting a facility to care for your child. There are no hard feelings with care facilities, but the reality is that they aren’t going to have the same ratio of care professionals to patients as in-home healthcare will have. By having one healthcare professional in your home to care for your child, you can be confident that they are getting all of the care that they need. 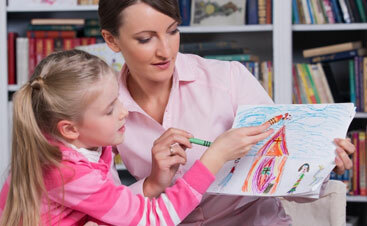 The attention of the care professional will be fully devoted to your child and their needs. Another major benefit to the 1:1 patient to professional ratio is the relationship that can be built. For many families that have a full time, and even a part-time, in-home health care professional, they see a relationship start to form. This isn’t just for the child and the caregiver, but for the family as a whole. However, it is extremely important and incredible that your child is able to form a relationship with the individual that is caring for them. This is also a form of relief for emotional distress because this person becomes a familiar face, a friend and, over time, family. Regardless of how incredible the facility that you’re looking into it, this is something that you simply can’t get out of every location. The points that we’ve mentioned above are still only a slight overview of all the benefits that a child will see when they’re enjoying an in-home healthcare scenario. In our next blog, we will dive into some of the ways that this setup can be advantageous for the rest of the family, so make sure that you keep up with our posts and keep an eye out for that! 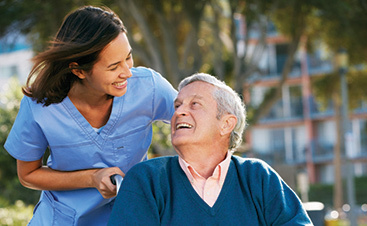 Evergreen Home Health Care is always ready to enhance the quality of life for those in the Denver area. Reach out to us today to get a better idea of what our pediatric health care services would look like in the case of your family and your child’s disability. Fill out the form below and a member of our team will get back to you as soon as possible to help you schedule a call for patient inquiry or to answer any additional questions that you may have.